have a Paypal account. Local Participants pay by cash, check, Paypal or GooglePay. 1. You may choose CD or MP3s. 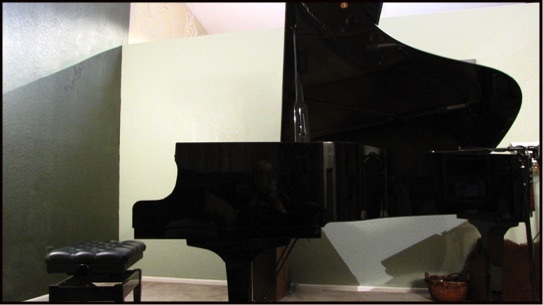 Your music will be recorded on a Yamaha conservatory grand piano and converted to MP3 or CD. Your music can be processed within 4 days and sent to you through mail or email. A 90 Minute Session usually provides 12 to 30 minutes of music. A One Hour Session provides 8 to 20 minutes of music. A Half Hour Session provides 3 to 10 minutes of music. Add $60 for the second format. This will include 2 CD copies sent by mail and mp3s through email Dropbox link. NOTE: Suzanne has always offered sound healing work for charity. She can sometimes discount the price of a session to accomodate a client's needs. Please ask. 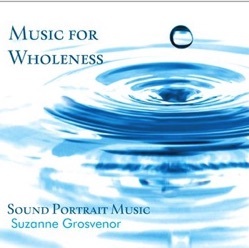 Music for support through Life Transitions - Who of us is not going through constant, major change in life? Music has such powerful impact in helping us to reset and reboot and find our natural, optimum flow and rhythm. Couple's Session - Couples have often experience major breakthrough and renewal of the relationship during Therapeutic Personal Music sessions. Engagement or Pre-Wedding Celebration - Support and celebration for reaching our highest potential together. Absentee session for Friend or Loved One - Suzanne will hear and interpret the music for your loved one when they may not be able to be present. Sessions can facilitate greater understanding and relationship. Pre-Op Surgery Healing Support - Prepare ahead of time for important events. Music helps to bring us into our best, most relaxed and supportive flow. Post-Op Healing Support - Resolve issues of stress, trauma and support greater relaxation and healing flow. CD for Baby In Utero - Yes, no kidding. Some of the most powerful and inspired sessions have been for babies on the way in. CD for New Baby or Young Child - Clients have said they feel the Music for their child or grandchild has helped the child to get onto the right foot, to feel blessed and released from the traumas of early life. Sometimes, issues that mother and father have not been able to sort out can surface and resolve quickly with the help of the Therapeutic Music Session. Musician: Hearing Your Own Inner Music - Musicians can study with Suzanne. She teaches musicians to hear and compose their own music. Composing can be an important part of realizing and letting your inner music out to be heard and flourish. Not only is this a creative and inspired endeavor but greatly therapeutic for coming to know oneself and gaining confidence expressing more of your soul's purpose. Many musicians lives have been transformed through studying music with Suzanne Grosvenor. Birthday Celebration - Just for you. A tender way to feel support and corroboration and celebration of your unique journey. Anniversary Celebration - A great way to celebrate and revive or renew your commitment. Hospice Care - Amazing stories of healing have occurred when a Hospice Patient has had their Music to listen to during this most important passage of life. It can be meaningful for friends and family as well as the portrait subject. House Blessing - Ahh! Another of life's important transitions. Can help to harmonize the vibrations of the home with that of family members and home owner. Gift a session to a friend or loved one who is in the midst of change or celebration. "The most important thing in each of our lives is the endeavor to become all we can be. Embodying your unique calling is key to happiness." Recommended for first time client. or Long Distance by Telephone or Absentee with photo. Get a larger discount when you sign up for weekly or monthly sessions. Purchase only the music you'd like to keep. Add $33 per song to basic price of $130 / hour. Package Deals available with multiple sessions. Please ask. Music Students and regular clients receive substantially discounted sessions. If we are in session and it doesn't feel like time to quit, sometimes we can go beyond the time scheduled. Extra time is charged at $60/half hour. Sometimes the extra time can constitute an important breakthrough in the session.